I urge you to check them out. Before reviewing the music let’s have some history. In the late 70’s and early 80’s Sad Café were big; by that I mean they had hit singles (one getting to No3), appeared on ‘Top of the Pops’ and were able to sell out major venues such as Hammersmith Odeon and Manchester Free Hall. Signed to RCA and then A&M, they were arguably the UKs premier Melodic Rock band of the time. I heard them on Radio Caroline and was hooked from the outset; subsequently I saw them live a number of times and never witnessed anything other than a superb show. Like so many bands, they imploded due to legal wrangles and alleged mis-management, which was a huge disappointment. Their incredible front-man, Paul Young, would re-emerge as one of the two vocalists in Mike & the Mechanics before his untimely death in 2000. The band’s back on the scene and their early records have been released in these two disc sets; for me this has proved a wonderful case of rediscovery. 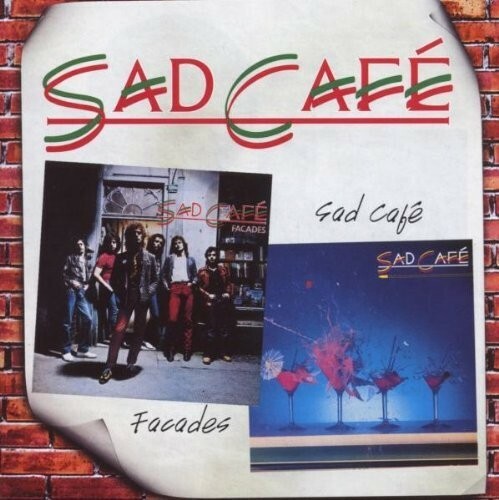 Like 10CC, Sad Café had the ability to make Melodic Rock with a twist rather than just the predictable verse chorus style; not as radical as 10CC, perhaps, but they certainly kept things interesting. Each of these albums is chock full of well structured, melodic and tuneful songs with hooks and choruses that without fail get into your head and stay there while the vocal harmonies are certainly from the upper echelon. Young’s vocals are wonderfully emotive and Ashley Mulford’s guitar solos are always spot on and melodious. Vic Emerson’s keyboards feature regularly such as on ‘Fanx Ta-Ra’s’ ‘Shellshock’. The debut remains my favourite of their albums with all its original twelve tracks being a winner but notable among those are ‘Babylon’, ‘Hungry Eyes’, ‘Black Rose’, ‘I Believe (Love Will Survive)’ and the title track. 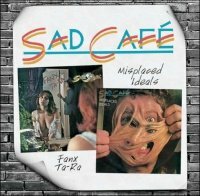 The follow up, ‘Misplaced Ideals’ is generally mellower but still full of great songs, specifically the Steely Dan-like ‘Run Home Girl’, the acoustically driven ‘No Place to Go’, the ballad ‘Feel Like Dying’ and upbeat closer ‘On With the Show’. The 10CC connection is reinforced by Eric Stewart producing the next two albums the first of which, ‘Façades’ gave the band their huge hit ‘Every Day Hurts’ as well as ‘Strange Little Girl’ and live favourite ‘My Oh My’. It’s not difficult to understand why the bonus tracks didn’t make the original cut as they sound undercooked and dishevelled and like several tracks on the album have a Rolling Stones vibe going on which isn’t evident on their eponymous fourth release until the final song. ‘Love Today’ makes a big nod in the direction of Little Feat, which is no bad thing. Best tracks here are La-Di-Da’, ‘What Am I Gonna Do’, ‘Keeping It From the Troops’, ‘Losin’ You’ with its superb vocal arrangement and the concluding number, ‘I’m In Love Again’.